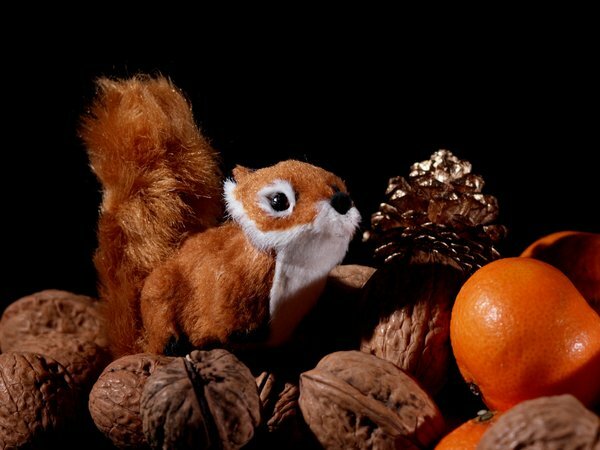 Squirrel in a bunch of wallnuts and clementines with a black background. Cracking! (excuse the pun) makes you smile.